Buddhist Studies from India to America covers four important areas of Buddhist Studies: Vinaya Studies and Ethics, the history of Buddhist schools, Western Buddhism, and Inter-religious dialogue. These are the main areas which Charles S. Prebish has either inaugurated or helped to define; and his academic career as a leading, international scholar, and his significant professional achievements are celebrated within this volume. 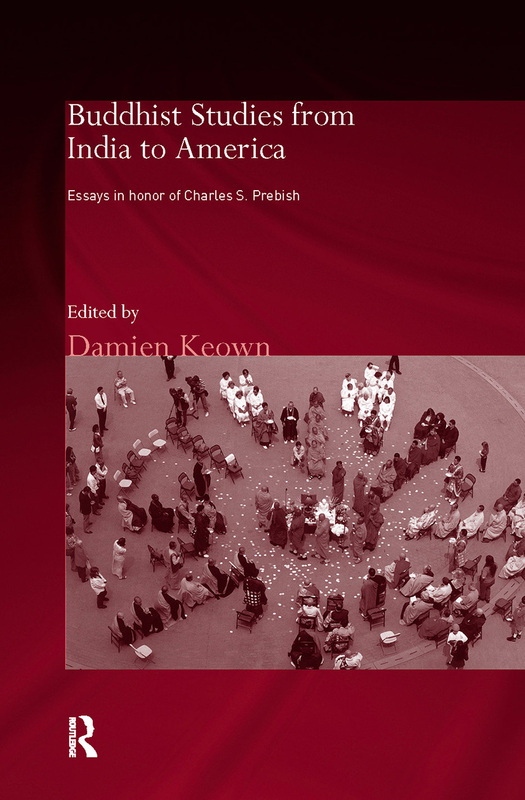 The geographical and historical scope of the essays in this collection range from ancient India to modern America, and includes contributions by well-known international scholars. The contributors discuss a variety of academic disciplines including philosophy, psychology, history, feminism, and sociology. It will appeal to scholars whose interests embrace either ancient or modern aspects of the Buddhist tradition. Damien Keown is Professor of Buddhist Ethics at Goldsmiths College, London University. He is the author of many books on Buddhism and co-editor (with Charles S. Prebish) of the Journal of Buddhist Ethics and the Routledge Critical Studies in Buddhism Series. Routledge Critical Studies in Buddhism is a comprehensive study of the Buddhist tradition. The series explores this complex and extensive tradition from a variety of perspectives, using a range of different methodologies. The series is diverse in its focus, including historical, philological, cultural, and sociological investigations into the manifold features and expressions of Buddhism worldwide. It also presents works of constructive and reflective analysis, including the role of Buddhist thought and scholarship in a contemporary, critical context and in the light of current social issues. The series is expansive and imaginative in scope, spanning more than two and a half millennia of Buddhist history. It is receptive to all research works that are of significance and interest to the broader field of Buddhist Studies. Some of the titles in the series are published in association with the Oxford Centre for Buddhist Studies, which conducts and promotes rigorous teaching and research into all forms of the Buddhist tradition.